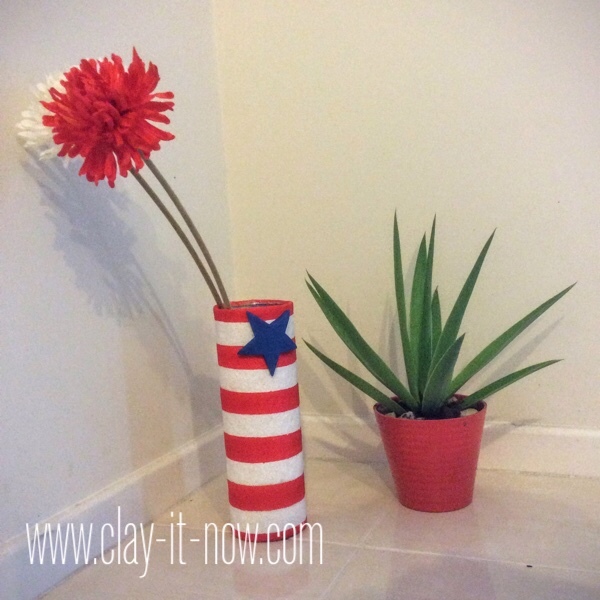 This fourth of July craft is a fun way to spend holiday at home while celebrating the American Independence Day. 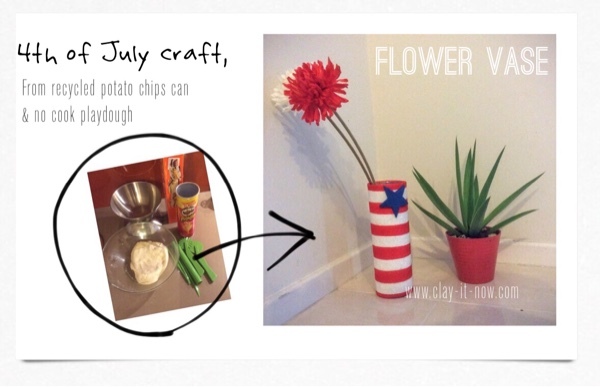 And, the idea of upcycling potato chips can to flower vase might brought in many more upcycling ideas. Some of you may ask, why use no cook play dough? Why don't we just paint the can? To us, the vase looks more artistic and natural with the dough. And we can have 3 D star instead of just a picture. Alright, let's have fun now. 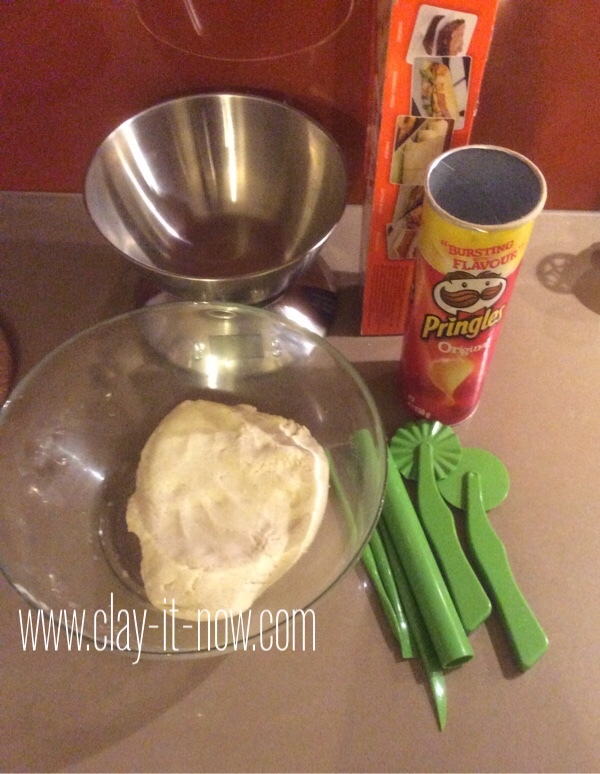 Prepare your no cook play dough following our recipe. And, clean up your chips can. 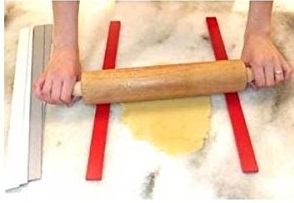 Knead your dough well and use rolling pin to make dough evenly flat at about 0.8 centimeter or 5/16 inch. 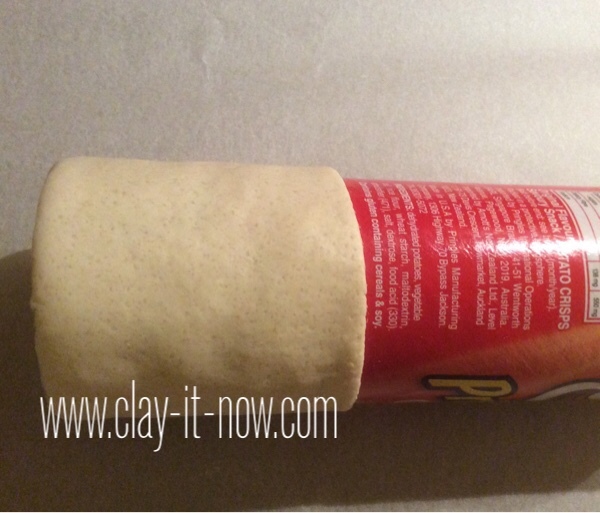 Wrap the can with dough start from the base up to the opening. 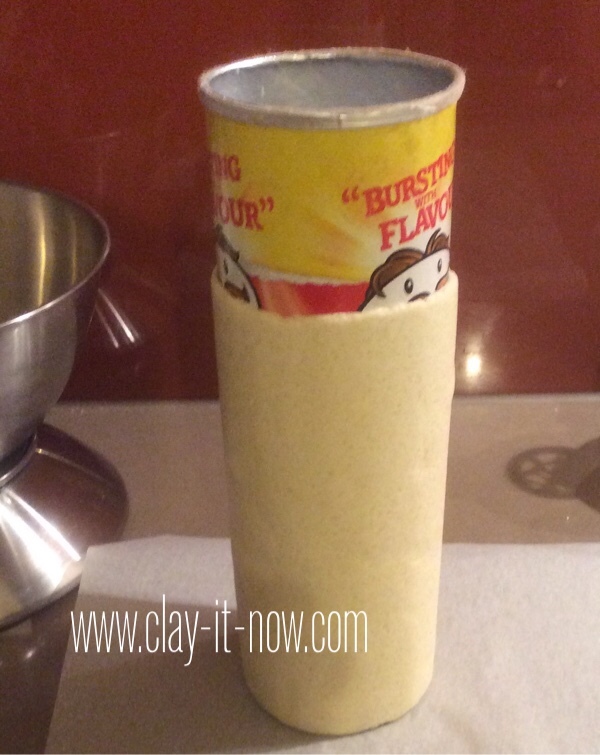 Continue wrapping the can with short piece of dough section by section. 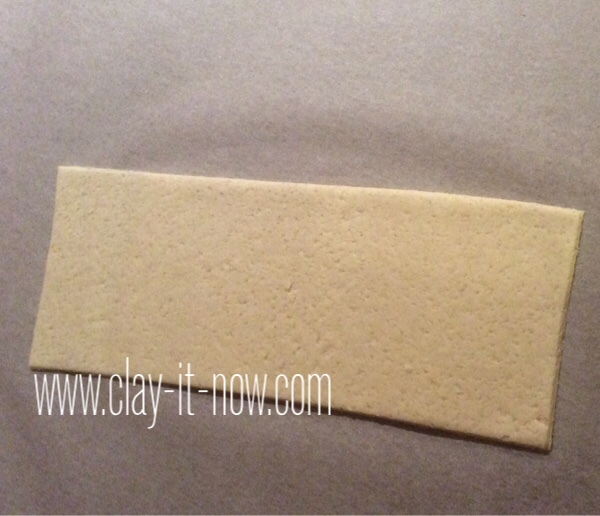 We've done wrapping all outer can surface with teh dough. 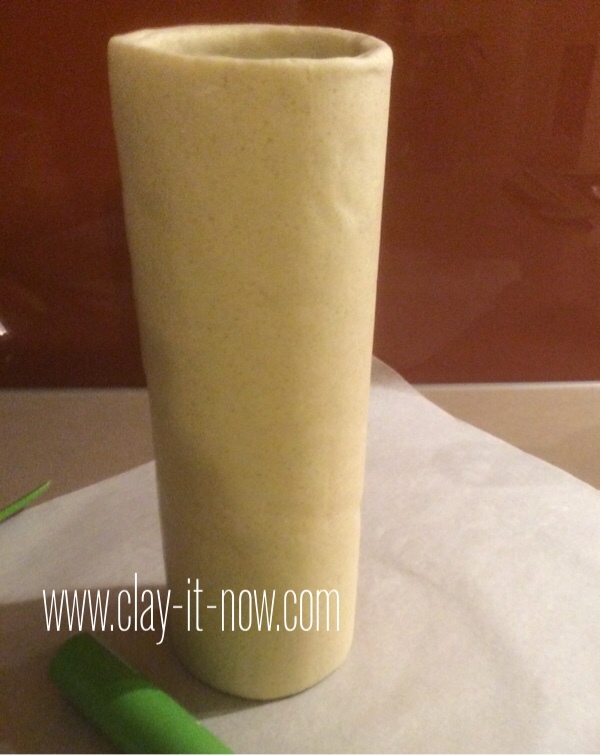 Let it dry or until the color of the dough changes to white. It took about a month. You can see the dough color is white now. 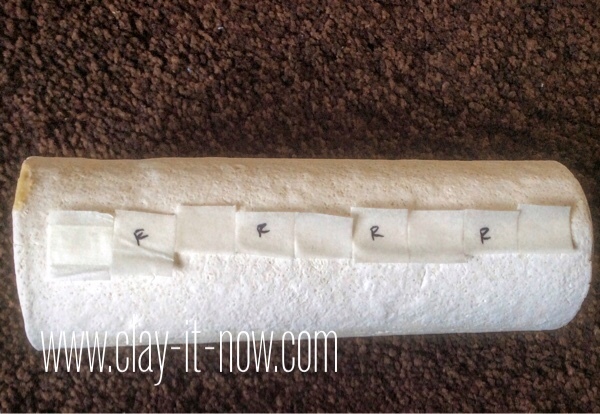 Use short pieces of tape to mark the spacing of the stripes. After you are happy with the spacing, cover the area of the stripes that you don't want to paint with tapes. 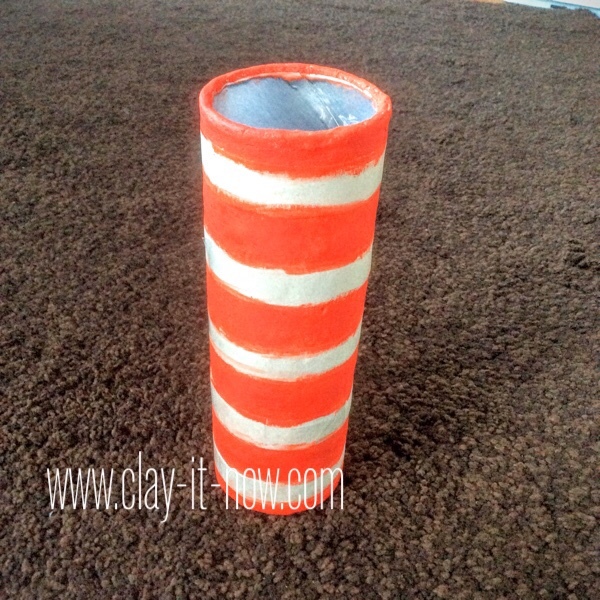 Use oil paints to make the red stripes. 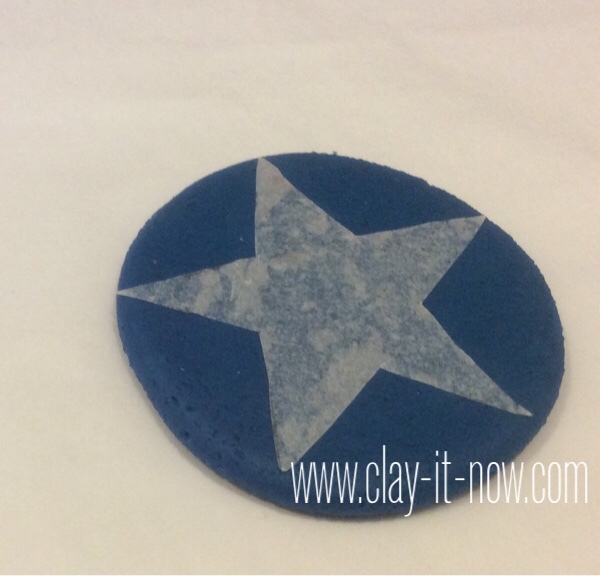 While waiting for the paints to dry, we can make the star now. I prefer to have one big star. 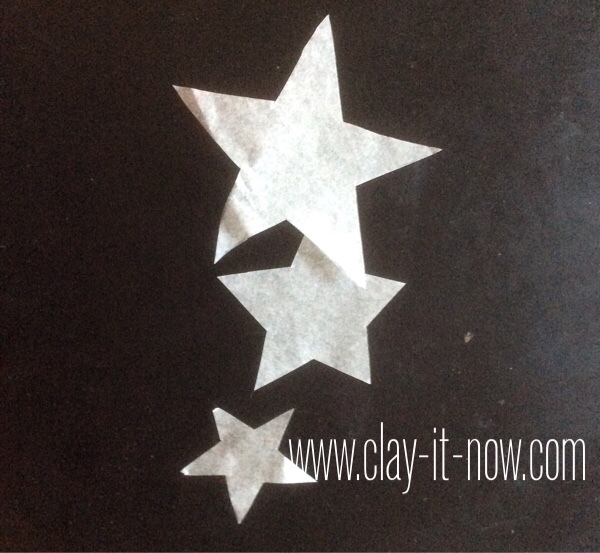 You can use cookie cutter or the print out pattern to make the star. 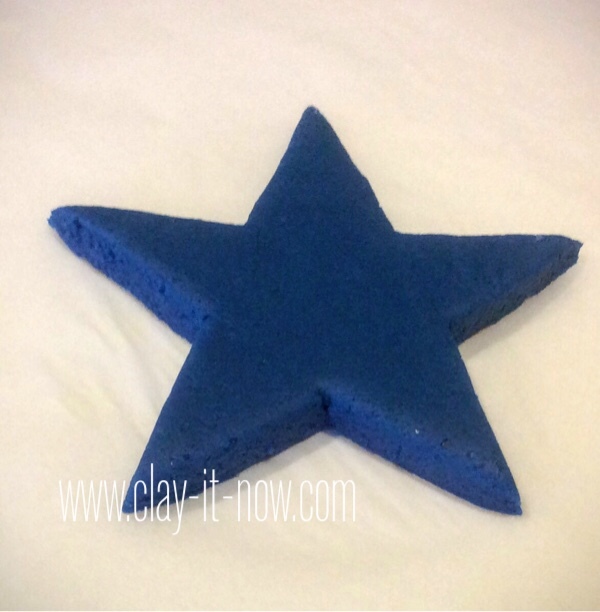 Place the star pattern on a flat dark blue play dough. Cut the dough following the pattern. Here is the blue star. We can go back to our can and remove the tapes. 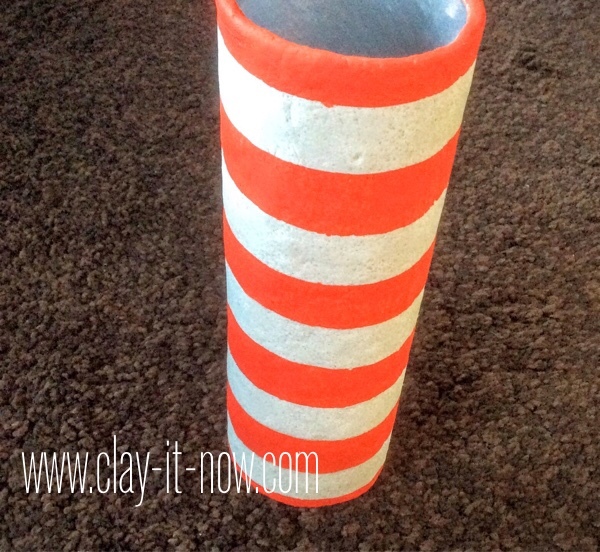 You'll have crisp red stripes nicely combine with the natural dough color. 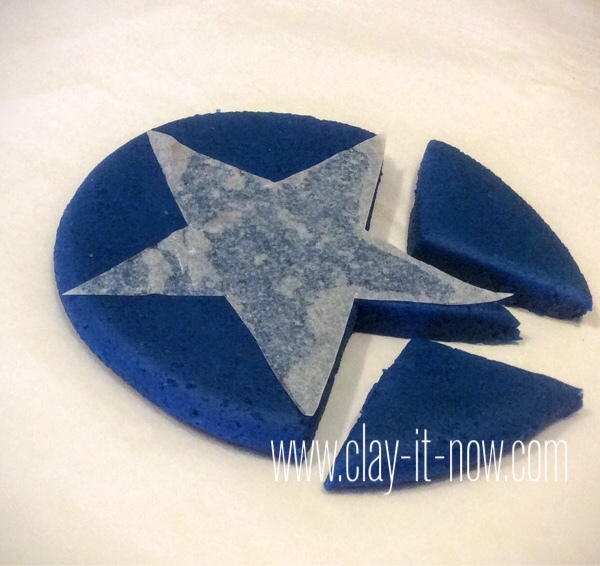 Paste the blue star to the can and voila! 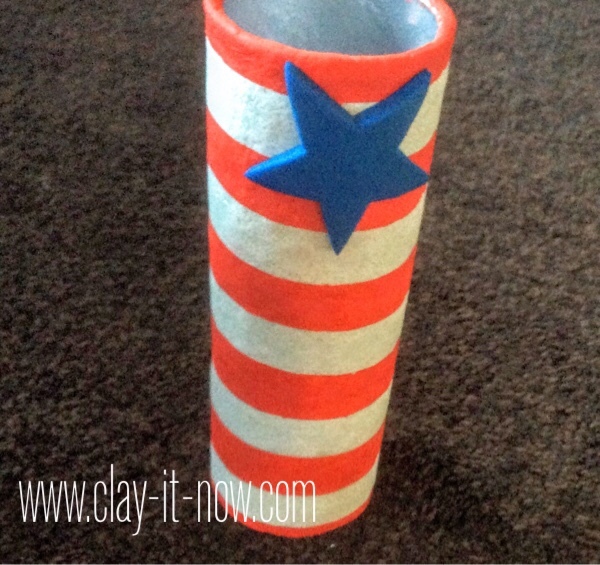 Our fourth of July craft is done. 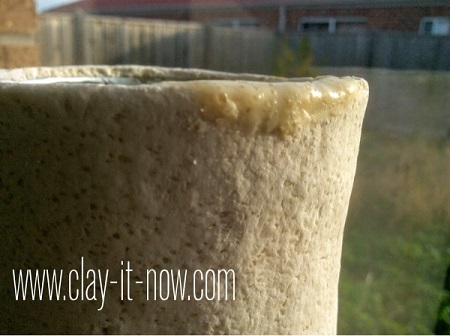 Our flower vase with no cook play dough is in use now. Don't panic if your dough chip. Just add fresh dough, with plain water as your glue and let it dry. 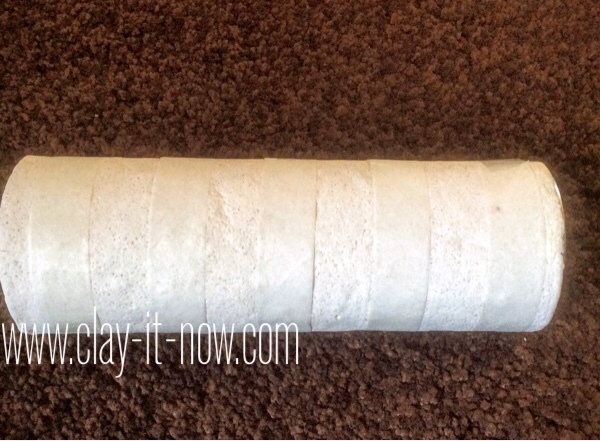 You can use perfection strip to help you rolling the dough to the same thickness. If you have other upcycling ideas, we would love to hear from you. Please share your craft and stories using the submission form below.